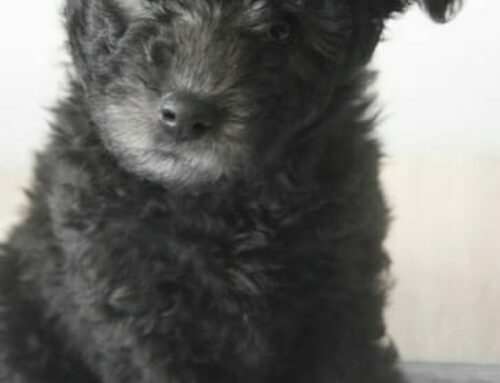 Is a Xolo the Right Dog for You? 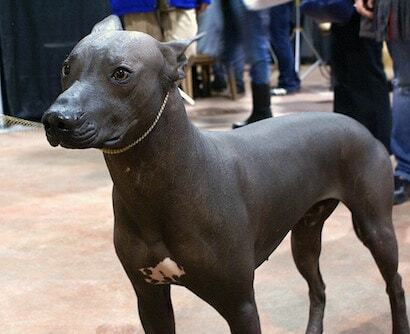 The Xoloitzcuintli breed is also known as the Mexican Hairless Dog breed, for obvious reasons. In case you’re wondering how to pronounce Xoloitzcuintli, it’s actually pronounced as “show-low-eats-QUEENT-lee”). Still a mouthful, however, so most people just call them “Xolos” for short. 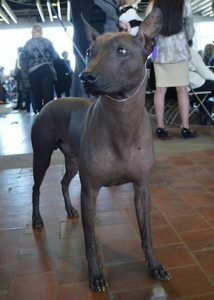 Another popular search on the internet for this dog breed is Xoloscuitnli but the actual name is Xoloitzcuintli. Today, Xolos are one of Mexico’s national treasures, often appearing in paintings by Frida Kahlo and Diego Rivera. 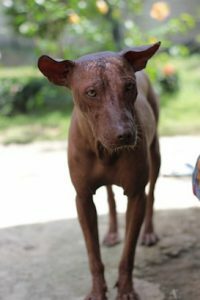 As more people are becoming aware of the gentle Xoloitzcuintli breed, they’re becoming more and more prevalent as their popularity grows in other geographical areas among other cultures. Aztec mythology chronicles the god, Xolotl, creating the Xolo out of a sliver of the “Bone of Life”. This is the same bone that is considered to be the source from which all of mankind had been created. Xolotl gave the Xolo as a gift to mankind with strict instructions to guard the dog with his life. In exchange, the Xolo would guide men through all of the World of Death’s (Mictlan) dangers and safely toward the Evening Star of the Heavens. Way back then, the Xolo was considered by the Aztecs to be sacred. They believed that the dogs actually had a healing gift. In fact, many people in Mexico still believe that the Xolos have special abilities for restoring health. They have also found archaeological evidence of Xoloitzcuintli accompanying travelers when they were initially migrating across the Bering Strait to keep them safe and healthy. 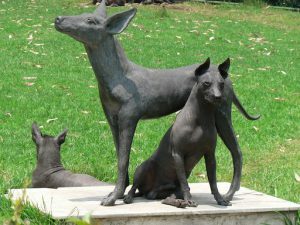 Archaeologists discovered burial sites that had Xoloitzcuintli remains and clay figures depicting Xolos (dating from 300 to 900 A.D.). This led them to believe that Xolos were used to guide departed souls into the afterlife. 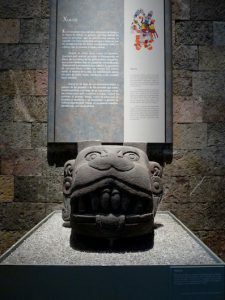 The findings of archaeological evidence in the tombs of the Mayan, Colima, Zapotec, Toltec, and Aztec Native American Indians led them to date the breed’s existence to more than 3500 years ago. For all those years, they have been regarding the noble Xolo as a guardian and protector, and that the dogs could safeguard their homes from intruders and evil spirits. Because of their hairless bodies, Xolos developed really warm skin and seem to be radiating heat. In remote villages in Mexico and Central America, their warmth was thought to actually be warding off or even curing aches and pains, asthma, insomnia, rheumatism, and toothaches. Sadly, in ancient times, the Xolos were also frequently sacrificed and buried with their masters. This is so that they could guide their souls while journeying to the underworld. In addition, Xolos were thought of as a delicacy and were eaten during sacrificial ceremonies including funerals and weddings. 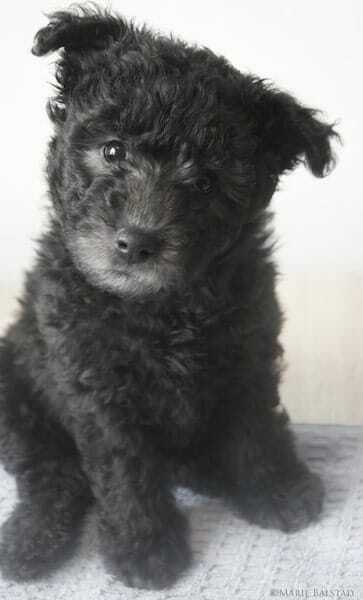 There is no close genetic link between the Xolo and this Chinese Crested Dog breed. The Chinese Crested is another hairless breed that has been cited as a Xoloitzcuintli ancestor by the American Kennel Club (AKC). 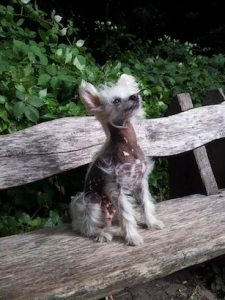 A recent genetic study conducted for the purpose of determining the breed’s actual origin failed at finding any close genetic relationship between the Chinese Crested Dog and the Xoloitzcuintli breed. Instead, modern Xolos appear to be the result of a mixture of two breeds. They are the pre-Columbian aboriginal Xolo, a descendant of a canine that traveled from Asia in the company of indigenous Americans’ ancestors, as well as one of the (or possibly more) herding dogs from southern Europe. These breeds are believed to have arrived during the time of the Columbian Exchange. It’s more likely, however, that the early Xolo’s forerunners were simply unplanned hairless mutations of indigenous American canines. Hairlessness could have given the early Xolos an advantage for surviving in a tropical region. The indigenous people in Mexico kept Xoloitzcuintli dogs as companions in their homes and for hunting. Today they remain popular for being companion dogs and many individuals in Mexico still believe that they have healing qualities. In addition, the Xolo is the symbol of one of Mexico’s professional football clubs, Club Tijuana. In the U.S., however, Xolos aren’t very well-known, so they’re often mistaken for Mexico’s mythical Chupacabras. 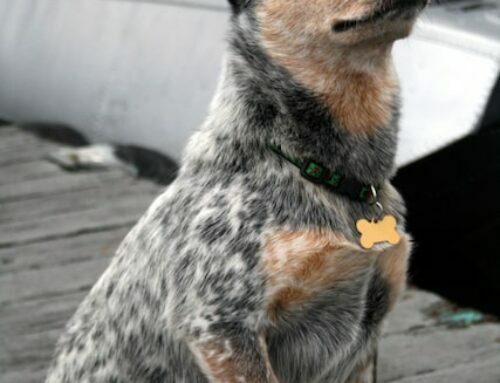 This intelligent, alert and active breed is generally very quiet and loving towards his family and has proven popular as an obedience dog, therapy dog, and companion. Xolos are both vigilant watchdogs and loyal companions. They really love their families and usually have the deepest bond with the family member who spends the most time with them and feeds them. With their past deeply rooted in being guard dogs, they’re extremely protective of their families. When it comes to strangers, they’re basically indifferent and often suspicious. The Xolo’s appearance includes a broad head with loose wrinkly skin around its neck. They have a tendency toward a poor bite because of the way their jaws are positioned and their tongues jut out. 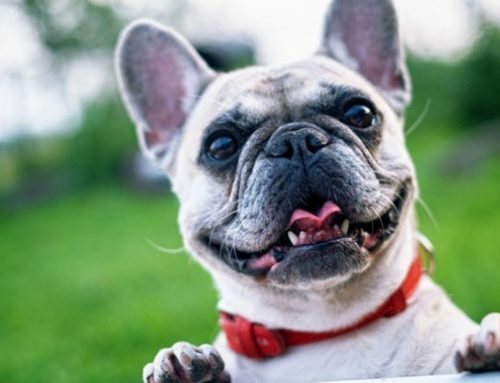 Their ears are droopy or cropped and their eyes tend to be protruding, light-colored, and flecked with blue. Xolos also have long, narrow bodies, with jointed hocks, short legs, and flat feet, as well as a short, slightly curling tail. The Xoloitzcuintli is known as a hairless breed, but it also has a coated variety. Interestingly enough, hairless and coated puppies are generally born in the same litter. 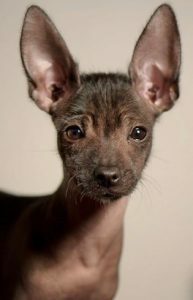 The hairless Xolo has a smooth, tough, and close-fitting skin, whereas the coated variety has a flat, short coat. Both Xolo types are dark-colored, ranging from gray-black or black to liver, slate, red, or bronze. 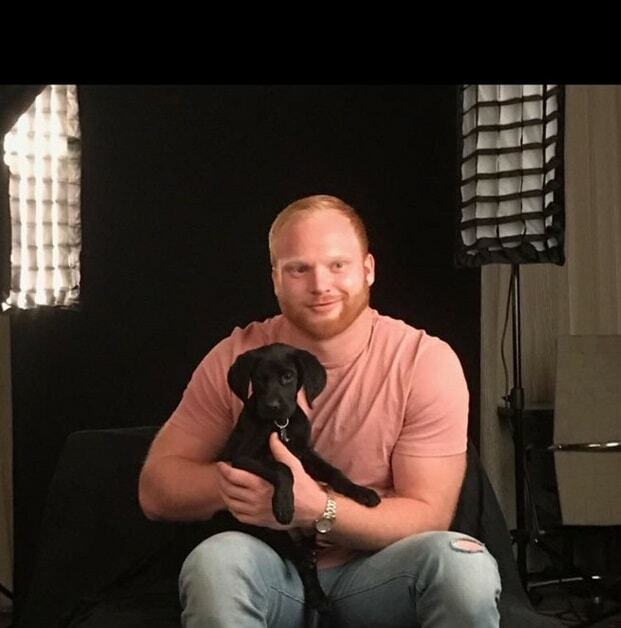 They have intelligent and thoughtfully expressive faces with a forehead that wrinkles up when the dog is deep in thought. Their elegant and graceful bodies are surprisingly rugged and strong. The hairless Xolos bear a slight resemblance to a Doberman only with wrinkly skin and bunny ears. 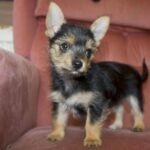 The coated variety of Xolos have a short coat that is really easy to care for. All they need is an occasional brushing. You can groom a coated Xolo just like any other coated dog. Besides his regular grooming, an occasional bath will go a long way toward keeping him nice and clean and looking his very handsome best. All Xolos should have their teeth brushed daily, or weekly at the least. Nails should be trimmed to avoid discomfort. In addition, their ears need regular cleaning to prevent buildup. 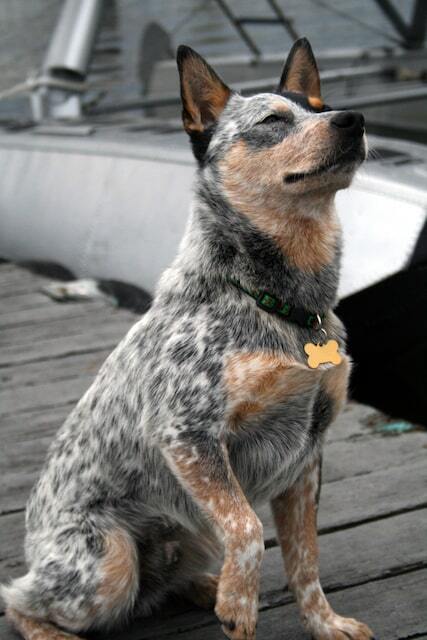 Xolos are a resilient and healthy breed and generally don’t have genetic health issues specific to their breed. 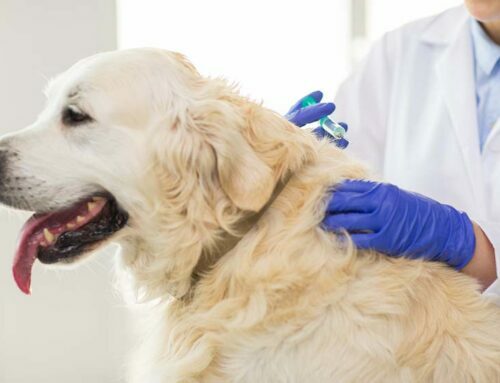 However, they have a susceptibility to the ailments that other breeds suffer from, including arthritis, blindness or deafness, heart murmurs, joint pain, and other aging symptoms. The genes that are responsible for producing hairlessness also give Xolos the tendency to have bad or missing teeth and dental disease. This can be quite serious for a Xolo. You could prevent other potential health problems by raising your Xolo properly. And, since they’re hairless, Xolos are susceptible to hot and cold extremes and require protection. When it’s sunny, apply sunscreen, and if it’s cold outside, put a sweater or coat on your Xoloitzcuintli to keep him warm. As a rule, hairless dogs generally experience skin problems. 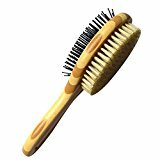 Plugged hair follicles or blackheads are some issues they can get when their skin gets wet or dirty. 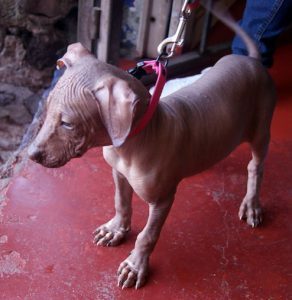 Bathe your hairless Xolo once per month or only when dirty. You can also apply moisturizer made specifically for dogs. Be sure to handle your Xolo very gently and don’t bathe him too often or you could be stripping his skin of the necessary oils needed for protection from the elements. acne (just like a teenager) and his skin could require some special care. In addition, chronic allergies can start causing them to itch and scratch and it could tear their skin, leading to a bacterial infection. The Xolo breed has a tendency to get itchy bumps. You can spritz their skin with raw cider vinegar mixed with water or cool brewed green tea. 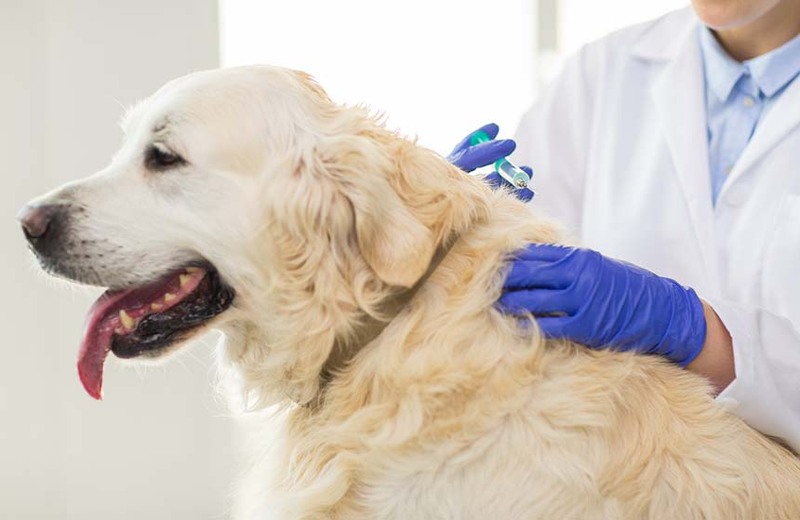 There are also a number of special products that you can purchase either online or from your vet for treating these problems. Just do a little research into which one would be best for your Xolo. We all wish that our beloved dogs could live forever. We pray for their good health and long lives. Unfortunately, they don’t live as long as we do and often, the bigger they are, the shorter their lifespan. So, on the average, how long do Xolos live? They generally live for 12 to 15 years. Unfortunately, there isn’t any easy method for figuring out exactly the amount that any individual dog should eat. 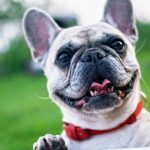 To determine the best meal size is dependent upon the type of food your dog is being fed, and the number of times per day that your dog eats, as well as his size, metabolic rate, and how much exercise he’s getting. For starters, read the feeding guide on the label. 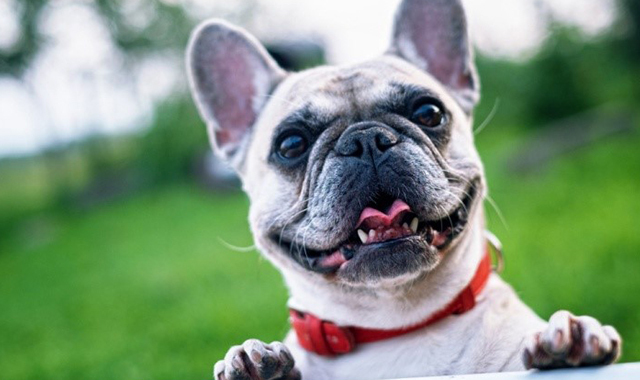 You can find the total amount of food recommended for your dog during a 24-hour period there. Most adult dogs eat two meals each day, while puppies need three feedings or more. So, divide the table amount on the label by how many meals your dog eats. Then, combining that info with your knowledge of your Xolo’s lifestyle, determine how much food you are going to offer him per meal. Checking your Xolo every two weeks plus keeping a diary of the results can help you to stay on top of his weight. If you find that he’s gaining or losing too much body fat/weight, just try adjusting the portion sizes appropriately. Food is the foundation of good health. The best diet for your Xolo is, of course, real food like beef, chicken, fish, and turkey. Poor nutrition is the primary cause of skin problems. This means that feeding your Xolo some kind of grocery store kibble isn’t a healthy choice. High quality, grain-free food with limited ingredients is your best option. Take note that some Xolos can have poultry or pea allergies. That’s why doing your research on any food for your Xolo is so important. 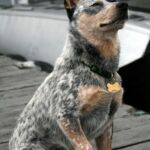 This best dog food article can point you in the right direction. 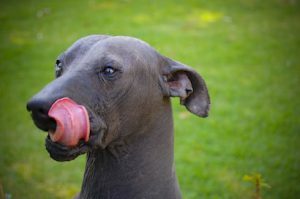 Your Xoloitzcuintli should thrive on high-quality dog food, whether you buy commercially-manufactured food or prepare it at home under your vet’s supervision and approval. Also, make sure that the food you choose is appropriate for your dog’s age. If you’re thinking about adopting a Xolo, the options are unfortunately rather limited since they’re so rare. You could start by contacting a Xolo rescue group. If that doesn’t work out for you, and you decide on buying rather than adopting, be sure to research the warning signs of puppy mills. That way, you won’t be unintentionally funding puppy mills and exacerbating the problem. 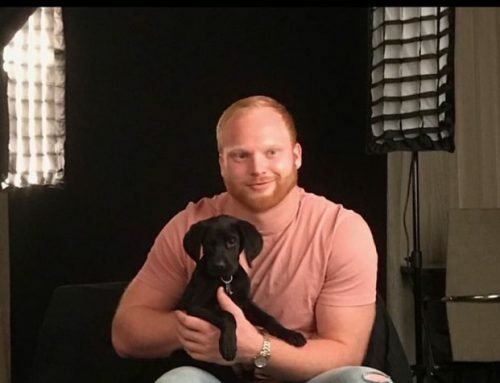 Just request parentage and health histories on your potentially new puppy prior to purchasing him to be sure of where he came from. The Xoloitzcuintli dog breed really is a unique specimen. If you’re interested in learning about another dog breed, check out this article about the German Shepherd.